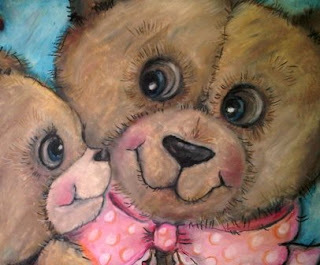 Pop Art Minis: Teddy Bear Hugs . . . .Mother MAY I? Teddy Bear Hugs . . . .Mother MAY I? 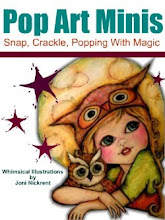 From a Holly Holiday Design to some Calendar fun with the month of May! 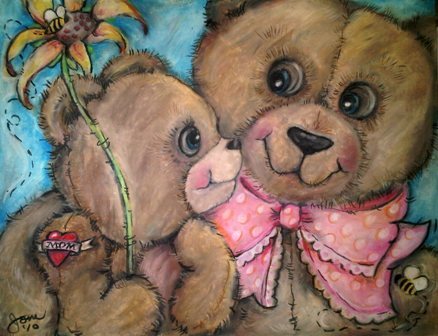 Introducing "Teddy Bear Hugs" With Mother's Day one of the biggest holidays that falls in the month of May and inspired by the idea of the "mama bear"... protective and always there it made perfect sense that it should be two bears! 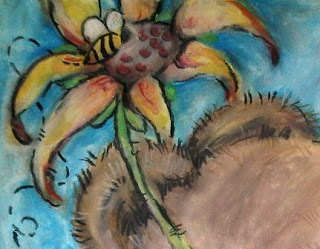 The little cub lovingly looking up at his Mama and proudly shares a flower (created with the help of April showers)! His little (rub-on) tattoo shows his love as well for MOM and the buzzing about are those fun little black and yellow insects letting us know that all will BEE alright in the month of MAY! 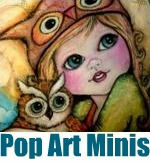 The 2011 Pop Art Minis Calendar will be available in my Zazzle store upon completion of the designs for all months. You can view January through April at the links below. And now. . . on to JUNE! A few of the details . . .
Oh, May you take our breath away! gorgeous.. I have a soft spot for bears. 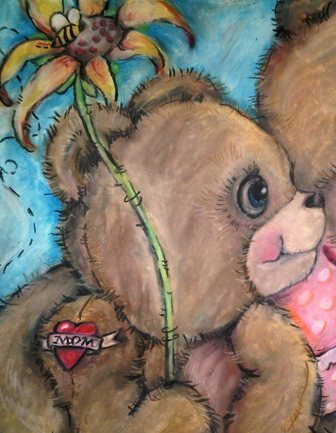 Thanks @Charlene's Art! This was a fun design to create! 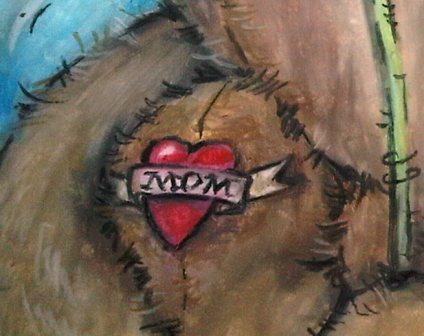 I think my favorite part is the little MOM Tattoo! hehehe!